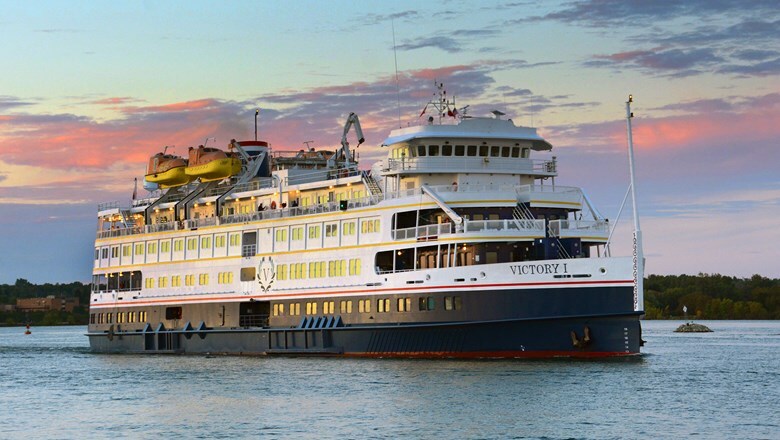 NEW YORK — American Queen Steamboat Company, which recently acquired Victory Cruise Line and its two ships that sail the Great Lakes, plans to add coastal cruises along the Eastern Seaboard and in the Yucatan Peninsula. But AQSB President and CEO John Waggoner said the ships won’t sail to Cuba as Victory had planned this year. He said the line’s 2019 Cuba itineraries and other sailings planned by Victory for this winter and spring were canceled and customer money refunded so AQSB could update the ships. The company is working, however, to add sailings to Mexico, he said. Waggoner discussed his plans for the Victory I and Victory II at a luncheon Tuesday in New York. The ships, which he said resemble AQSB’s flagship American Queen, are currently in dry dock in Houma, Louisiana, being renovated and upgraded to resemble the company’s river ships and meet the same standards.